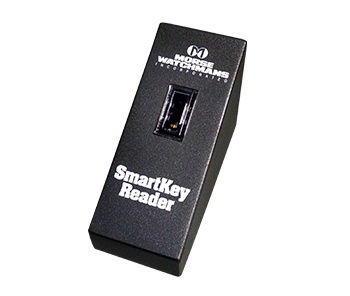 Las Vegas, NV (April 15, 2015) – Morse Watchmans reinforces its role as an industry leader in key control and access management technology with today’s release of its new SmartKey Reader. Now, by simply inserting a key into the SmartKey Reader, new keys can be added to the system, keys can be deleted, or location information from existing keys can be instantly read, making it even more convenient to manage keys. Designed for use with the KeyWatcher® Touch system and accompanying TrueTouch software, the free standing appliance connects to a computer via the USB port. Its wizard-like interface in the TrueTouch software is specifically designed so that users can add or delete keys quickly and efficiently. In addition to the KeyWatcher Touch system, the Reader is also compatible with the KeyBank Touch Auto v1.7, available in Spring, 2015. With the updated version, users can enter vehicle information including year, make, model, sub-model, color and fuel type when adding a key in addition to the delete and key location functions.